My wife, Maria, and I have over 30 years experience each in the restaurant business — both starting in our pre-teen years. Maria grew up in the same town in Italy that my parents are from; Acri, Calabria. We met, and later fell in love, in the early 90s while working at her cousins’ landmark restaurant in Huntington Station. Several years later, we ventured into ownership — with other partners. After 15 successful years, we’ve decided to do it on our own. We’re a team; I run the kitchen and Maria runs the front of the house. 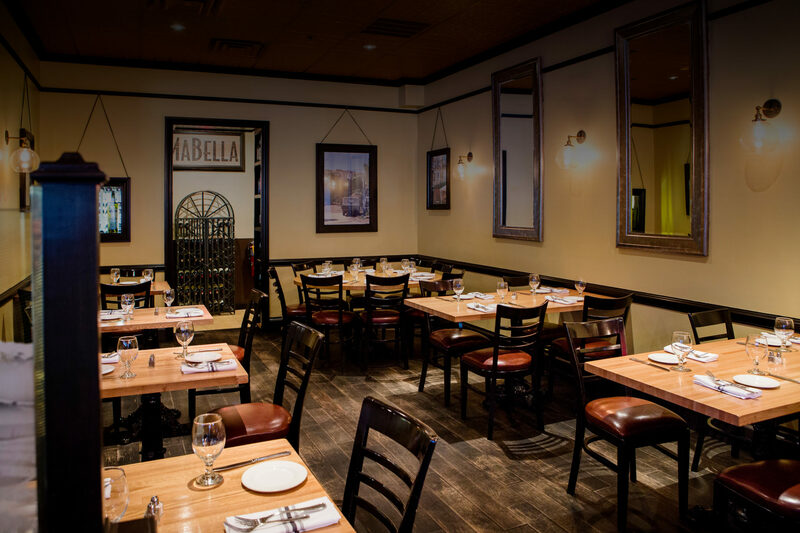 MaBella is truly a family business — right down to our name; a combination of Maria and our oldest child Isabella. Even though our boys, Joe Joe and Frankie, like myself, are not mentioned in MaBella, they pitch in, and you’ll find their signature dishes on our menu. We hope you come visit. Of course, we’ll welcome you with open arms and hope you’ve got a hearty appetite because feeding our friends, both old and new, is what we do best.